With so much warm, calm, sunny weather recently many people have been lucky enough to see whales and dolphins all along Scotland's west coast and islands. Already this month (June) over 600 sightings have been reported through Whale Track, all of which can be viewed on the interactive sightings map. If you are planning your own adventure this summer, heading out to watch from sea or shore, make sure to follow the Scottish Marine Wildlife Watching Code to avoid causing unintentional harm or disturbance to the animals. The code covers how to watch seabirds, seals, cetaceans, sharks, otters and turtles. Reduce your speed (less than 6 knots is best). Let the animals decide how close they get. Stay back (300m) and use binoculars to get a better view. Always approach cautiously, at an oblique angle – approaches from behind or head-on are more likely to startle or appear threatening. Make slow, steady and predictable movements. Maintain a steady course, staying parallel to the animals. Never cut across or go through a group. Make sure the animals are not surrounded. Leave if there are any signs of disturbance i.e. 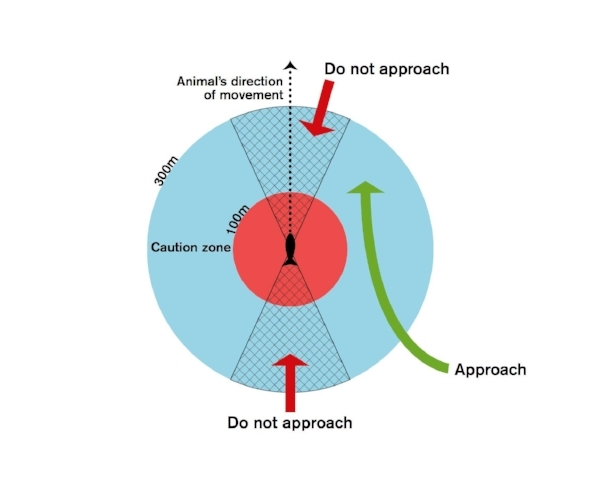 change in behaviour away from feeding or socialising, animals bunching together. Depart slowly and with caution. See the full A Guide to Best Practice for Watching Marine Wildlife for more information including signs of disturbance, sensitive times and places and behavior to be aware of. Remember some of the best whale watching in Scotland can be had from shore; find a high cliff top with a good view of the sea and get watching. Boat owners and other recreational marine users can learn more about how to handle craft around cetaceans by joining a WiSe course. Please contact info@wisescheme.org if you are interested in joining a course.